One of my favorite things about Megan’s patterns is the endless possibilities they each have. Matilda has so many different options within the pattern itself and with a little bit of simple drafting there are even more possibilities. 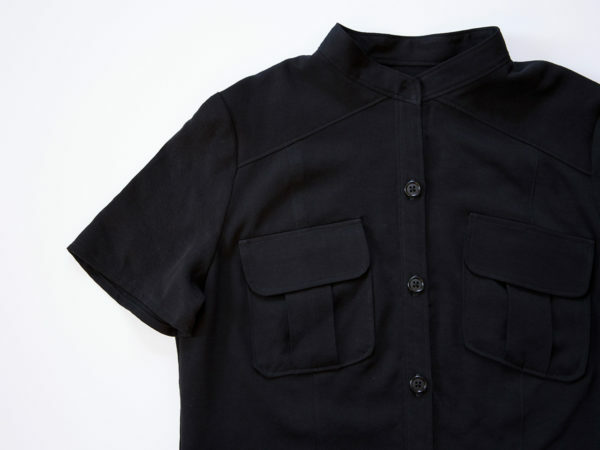 I’ve had this black rayon twill for over 6 months and I knew I wanted to create some kind of short sleeved top that could be worn with anything and everything. Something that could be worn out on a date night, but also worn chasing my toddlers around in jeans. I absolutely love the lines of the Matilda and the front flap pockets are perfection. 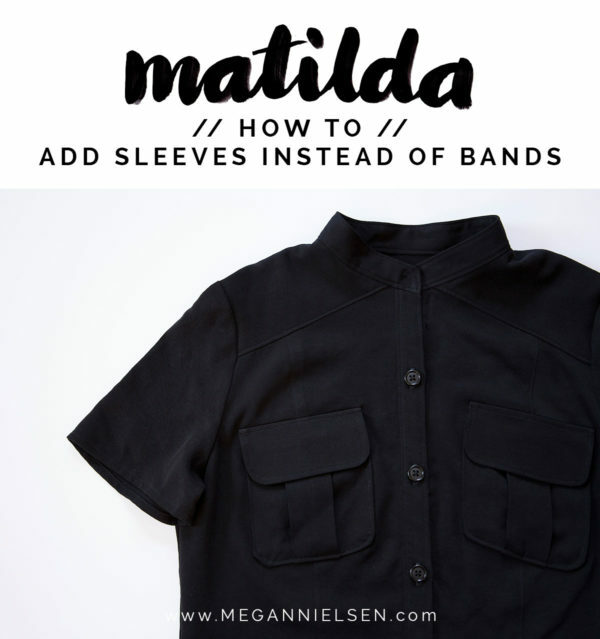 In this tutorial I will walk you through how to add sleeves to the Matilda using the sleeve and the armsyce from the Dove blouse. The Dove and Matilda were drafted using the same block, so this will actually be quite an easy change. A tutorial on how to create a top using the Matilda pattern will come in the near future. 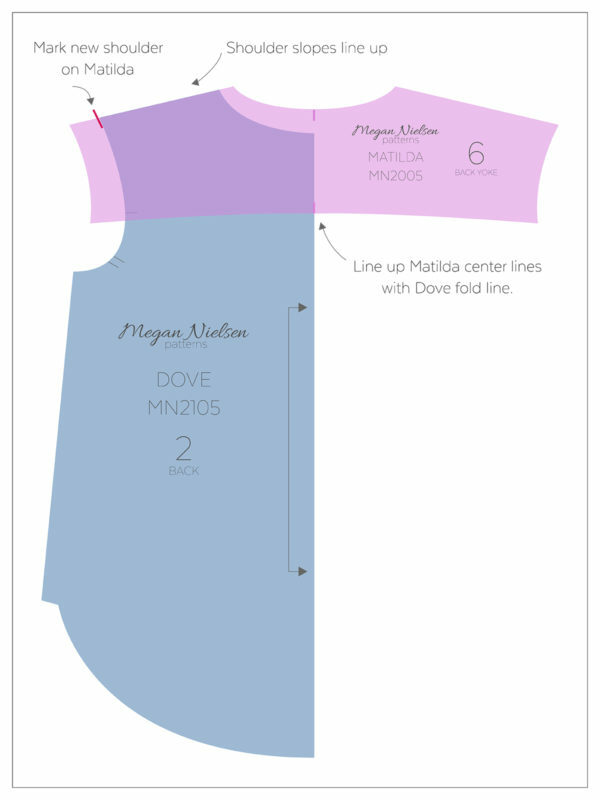 Step 1: Before we make any changes to the the Matilda pattern, make sure to have all Matilda and Dove pieces needed cut and ready in appropriate size. 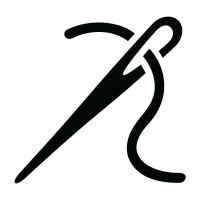 If you plan on making any adjustments to the original pattern (FBA, SBA, lengthen/shorten, etc.) wait until AFTER making the adjustments for the sleeves. Step 2: Beginning with the back pieces (Matilda 5 & 6 and Dove 2), line up the Matilda back yoke(6) on top of the Dove Back (2) piece. Use the center lines on Matilda to line up with fold line on Dove. Match up the shoulder slopes of both patterns. The Matilda neckline will be higher than the Dove. 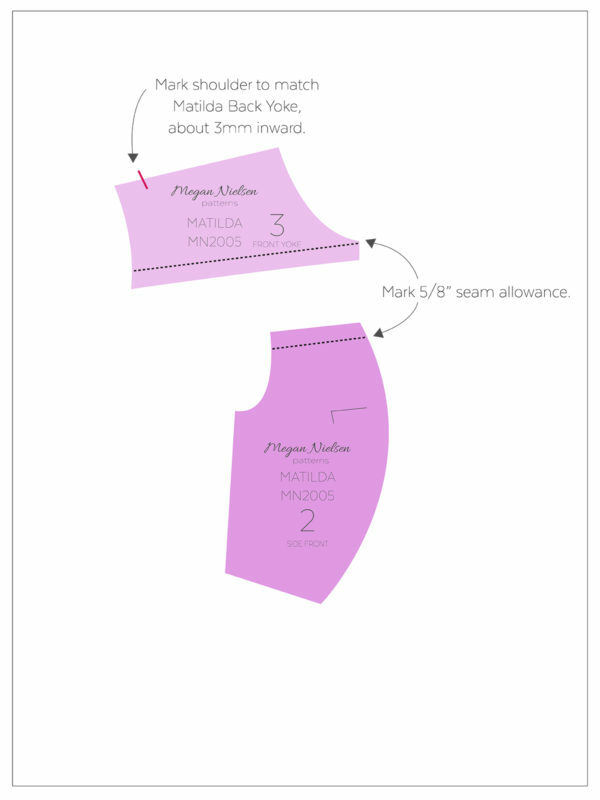 Mark the end of the shoulder seam of the Dove onto the Matilda back yoke (red mark). It should be about 3cm inwards. Step 3: Mark 5/8″ seam allowance on back yoke (6) and side back (5) of Matilda where the two pieces will join together. Step 4: Line up the seam lines by stacking Matilda pieces 5 & 6. Feel free to use a temporary piece of tape to hold the pieces together at this point. Step 5: Lay Matilda back yoke (6) and back side (5) on top of Dove back, lining up center lines and shoulder slopes as you did in step 2. The underarms of both patterns should line up. Matilda will curve in at the waist compared to Dove, so do not attempt to line up side seams. Step 6: Trace the Dove armsyce onto the Matilda pattern pieces. Make sure to transfer notches from the Dove as well. Trim off the excess paper from the Matilda pattern. Make sure to copy the new armsyce on the opposite side of the back yoke so it’s symmetrical. Step 7: Moving on to the front. Mark the shoulder slope of the Front Yoke (3) on the Matilda, so it matches the Back Yoke (6). Step 8: Mark the 5/8″ seam allowance on both the Front Yoke (3) and Side Front (2), similar to step 3 from the back. Step 9: Overlap the Front Yoke (3) and Side Front (2), matching up the seamlines. Step 10: Line up the shoulder slopes of both the Matilda and the Dove with the (red) shoulder marking on the Matilda matching up to the edge of the Dove shoulder slope. The Matilda underarm will be the same height as the Dove, but about 5/8″ further out than the Dove. The original Dove armsyce is shown here as a dashed line. Step 11: While the Front Yoke and Side Front are overlapping and preferably taped together, tilt the Matilda shoulder slope upwards while keeping the Matilda shoulder mark and Dove edge as an anchor. Continue to tilt the Matilda pattern pieces until the underarms of both patterns match up. They will be about 1mm off, but nothing too significant to affect your finished product. Step 12: Trace the Dove armsyce onto the Matilda pieces while the underarms are matched up (yellow line). Step 13: Trim off the excess paper on your Matilda pattern pieces. 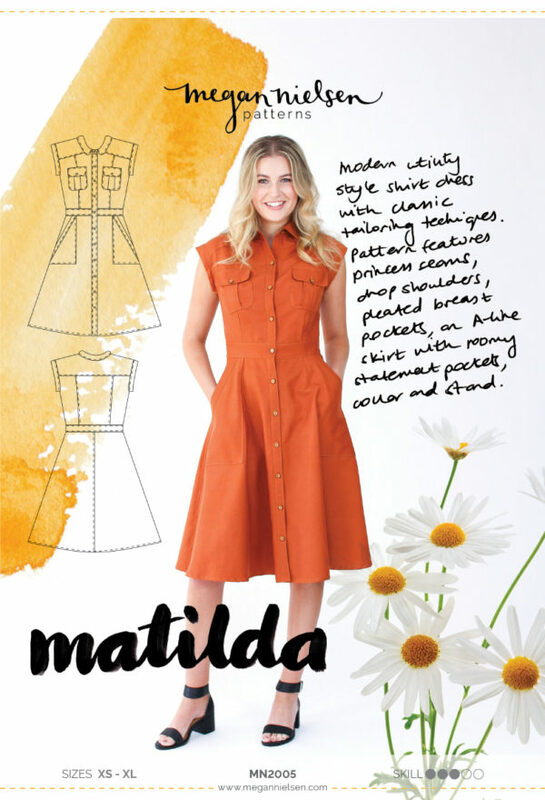 You have now made all necessary adjustments to your Matilda pattern pieces! The Dove sleeve will fit onto your new pattern pieces, and you can attach them by your preferred method.